Within the past decade, RFID has become one of the most intriguing technology as it attracted the attention of many researchers. Today, RFID has gone far beyond its intended purpose and reached a very advanced level in terms of identification and tracking. Indeed, RFID outshines barcode in many ways (you could refer to previous posts). RFID withstands harsh environmental conditions, is easy to use and flexible. As you may know, that summer is the high season for vacations, and due to the extremely over-crowded airports in such periods of time, luggage get more frequently lost. Consequently, the panic, troubles and disturbances due to such incidents arose an urge to overcome this issue once and for all. And that’s where RFID emerged as the best tool to be utilized in airports for luggage management. Typically, the airline industry handles more than 2 billion passengers annually. A major challenge to the industry, both in customer satisfaction and security, is tracking travelers’ baggage. Meeting security measures for baggage matching can delay departures significantly, impacting cost efficiency and customer satisfaction. A number of technologies have been implemented to streamline the process but the only technology that had the potential to revolutionize baggage handling technique was RFID. RFID is used to enhance the ability for baggage tracking, dispatching and conveyance to enhance the management efficiency and the users’ satisfaction. The RFID system provides the management with real-time and historical track and trace data, by that granting an immediate overview of the location of the bags. This is reflected through enhanced passenger’s security and satisfaction as well as reducing flight delays caused by mishandled baggage. In essence, RFID helps the system work faster, be convenient and more effective. Nearly two billion bags are shipped each year by airlines. The sector of the RFID tags market in airline baggage rose from $20 million in 2006 to $100 million in 2016. And that’s because RFID provides a real time and accurate view of the baggage along the transportation. It enhances the ability for baggage sorting, baggage matching and baggage tracking, the reason why so many airlines or airports, like Hong Kong International Airport, Delta Airlines, British Airways/Heathrow Airport, etc. have been working on implementing an RFID luggage system. Furthermore, out of more than 2 billion pieces of baggage handled per year, over 1% are mishandled which costs on average $90. Upon full implementation of RFID system, RFID will save the industry $760 million annually. Moreover, the processing cost including the labor and the maintenance cost is decreased due to the boosted productivity with a more automatic workflow brought by RFID. For example, in Hong Kong International Airport, the average cost of handling bags has gone from $7 per bag to $4, which is a huge saving, and the overall cost savings for Hong Kong airport are estimated at more than $3.8 million a year. Technically speaking, RFID tags, unlike barcodes, are not influenced even when they are dirty, partially folded, concealed or blocked. 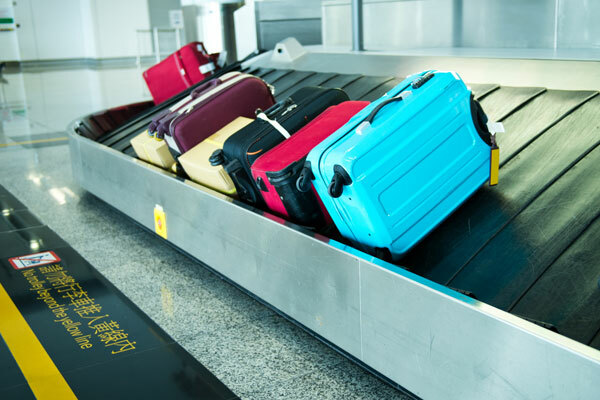 This characteristic effectively changes operation flow and dramatically reduces the manual processing speed and time as well as staffing levels for baggage handling. Flight delay caused due to mishandled baggage. With the vigorous pressure to work profitably and strengthen security, the aviation industry must turn to new technology like RFID. RFID technology is already used thousands of times every day at airports, and other places, around the world to identify employees, unlock doors and open parking gates. Integrating RFID system significantly increases efficiency, reduces operational costs, reduces cost of lost baggage & delayed planes and leads to a positive return on investment.